Got tired of hitting the browser refresh button each time to preview the updated page or to see how the changes look like to a web page that is being developed by you. The problem with most of the WYSIWYG web page editors is that they usually stuck most of the time and they do not give you the real or exact picture of what a web page would really look like when viewed in a browser. There are various auto refresher tool available that will do the job for you but they cost too much for a very simple yet tedious task. To get an auto refresh tool for free I use Firefox web browser which gives me the ability to install third party add-ons for performing various tasks, one of them is to automate the refreshing of a web page. 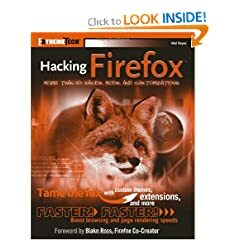 I have been suing FireFox for a long time now and the only reason for using it on the first place was that it provided tabbed browsing experience which was not available in other web browsers at that time. The tabs allow me to work more efficiently without messing up my desktop with dozens of browser windows. Coming back to automating the reloading of a web page, below is a list of few of the best FireFox plugins that will perform this task for you. Get any of the one that meets your requirements. 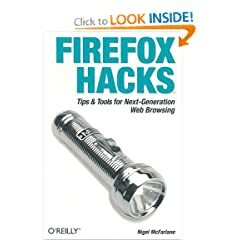 This is one of the top FireFox plugins that has lots of features with which you can do a variety of things in your FireFox browser tabs. One of them is to set the reload time of any or all tabs in your browser window. Then after the selected time ends, the selected tab(s) automatically refreshes and loads the updated page. In this plugin, you can select the auto reload time anywhere from 5 seconds to 15 minutes or you can add your own refresh time. Very handy tool when you want to view a web page that has data which changes very often(for example stock rates, live scoreboards etc). This one is very simple and straight forward. Just select the time interval and the page will reload automatically after that time. This plugin has not been very popular but it works as good as any other listed on this page. This tool automatically detects any changes on a web page and then reloads the updated page. This tool is very handy for web developers since they can easily preview real time changes that they make to the code of a web page. This one works in a slightly different way. It checks a web page for changes and if it finds that a web page has changed, it notifies the user via a sound or a small icon. You can set the monitoring time so that it automatically checks the web page for updates after regular intervals. This one works the same way the Page Update Checker works but you can specify certain portions of a web page that you want to monitor changes /updates. Select the section of the web page that you want to monitor for any change and simply select the time interval for this plugin to check for updates and if it occurs, it is indicated by a variety of ways. Hope some of these plugins will really can in handy in your web development tasks. Feel free to share these with others.